The small-range millipedes Tasmaniosoma anubis sp. n., T. interfluminum sp. n. and T. nicolaus sp. 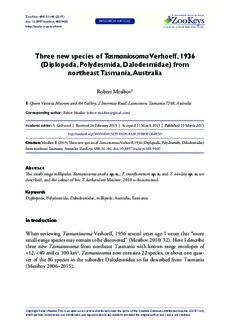 n. are described, and the colour of live T. barbatulum Mesibov, 2010 is documented.